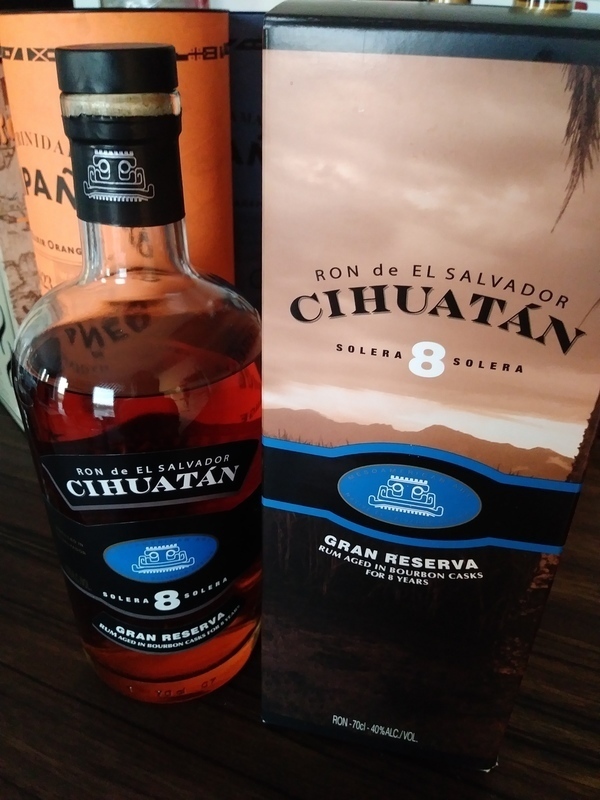 Have you found an online vendor selling Cihuatan Reserva Especial 8-Year? Première gorgée vanillée suivie par le caramel, café, une légère touche de cuir. Tanins fumés dûs au baril de chêne intrigue la langue créant une finition agréable. 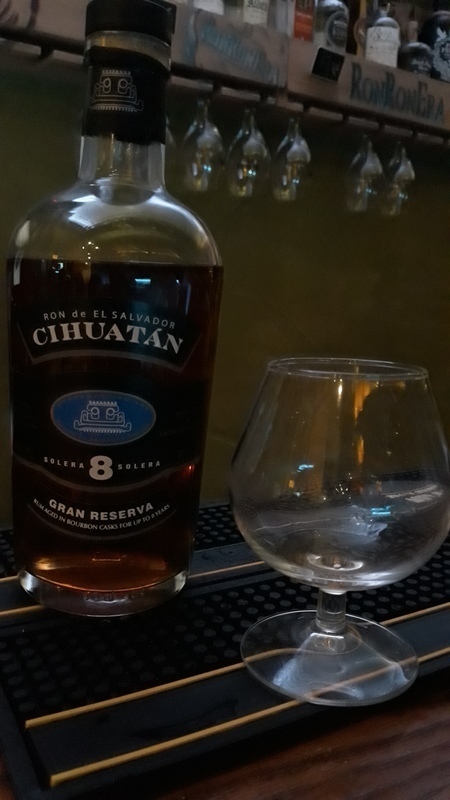 Enjoyed a bottle of Cihuatan 8y with my buddies while in Germany. Plain standard bottle wrapped in a flimsy cardboard box. Golden color. Since its all sugarcane method plus added vanilla flavors, its really not my cup of tea. Quite a strong burn at the end with the added vanilla is an interesting mixture. First burn is a bit too strong and covers what comes after. Excellent balance with tones of dark chocolate. Arome de ciocolată, dulceag cu aftertaste suficient pentru un rom "tânăr"
Merci à Bruno qui m a offert la bouteille. Un rhum très doux au goût de vanille, caramel vers la fin, mile et orange. In der Nase Düfte von süssen reifen tropischen Früchten, überreifen Mangos, Bananen, Karamell und viel, viel, viel Vanille. Auch eine herbe grasig grüne Seite ist auszumachen, Holz, Gras, Moos und Rinde bilden einen schönen Kontrast. Im Gaumen angenehm mundfüllend und warm. Gebrannte Mandeln und andere Nüsse eröffnen die Parade der Aromen gefolgt von Vanille und Karamell und etwas gesalzene tropische Früchte. Im Abgang schön lang, die Vanille bleibt noch viel länger. In the nose fragrances of sweet ripe tropical fruits, overripe mangos, bananas, caramel and much, much, much vanilla. Also a harsh grassy green side can be seen, wood, grass, moss and bark form a nice contrast. In the palate pleasantly mouth filling and warm. Baked almonds and other nuts open the parade of aromas followed by vanilla and caramel and some salted tropical fruits. In the finish nicely long, the vanilla remains much longer. 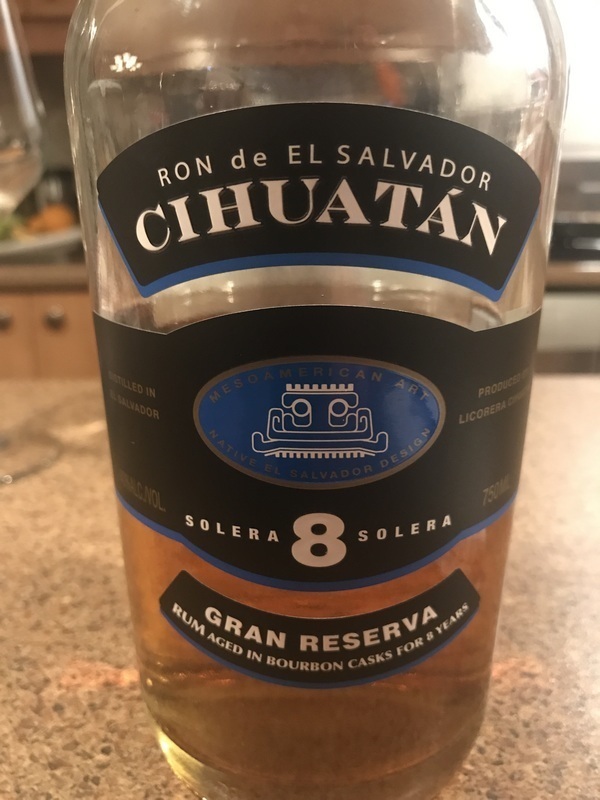 Overall: This rum has a very sweet taste of vanilla to the point, that it almost tastes fake. I will gladly try more from this brand, but this one is not for me. Ac nemam rad umelou vuni, tak zde pritomna vanilka a kokos je vcelku prijemna. Bohuzel chut za vuno uaostava, je sladka a hrejiva, bohuzel jsem ale nic vic neobjevil. Färgtoner är gulaktig. Pissgul. Aromen påminner om någon krydda, nå bak krydda? Kanske karamell och vanilj. Svårt men väldigt speciell doft. Nästan hostmedicin? Pepparmint. Smaken är ändå helt okej, passar nog säkert bra i drinkar. Fruktig. Näst bäst hittills. Toffee on nose, vanila and caramel on tongue. Smooth but warm at the same time. Price is ok, definitelly not a bad choice. Tastes a lot better than it smells. The vanilla is not too strong. Vanilla flavor and aftertaste, but on the background is just vodka. Vanilj och honung i både doft och smak. Väldigt mild och lättdrucken. Lite romerska bågar. Yes it’s vanilla, but it’s an excellent blend with just the right burn and just the right mouthfeel. I enjoyed this one so much it was gone before anyone else could try it. Only tiny complaint is just a touch too much vanilla, still excellent but not truly perfect. Nit-picking on that though. Belle couleur ambre/caramel, nez sucré et épicé aux notes de caramel, miel et vanille. Un rhum facile d'accès aux notes sucrées dont la force de l'alcool est cachée par sa douceur. Léger goût boisé en fin de bouche qui lui donne tout de même un bon caractère; à goûter! Zoete rum met een frangipane afdronk. De bourbon is goed terug te vinden in de smaak maar wordt dan te zoet in de afdronk. Sweet rum with a frangipane aftertaste. The bourbon is well reflected in the taste but then becomes too sweet in the aftertaste. 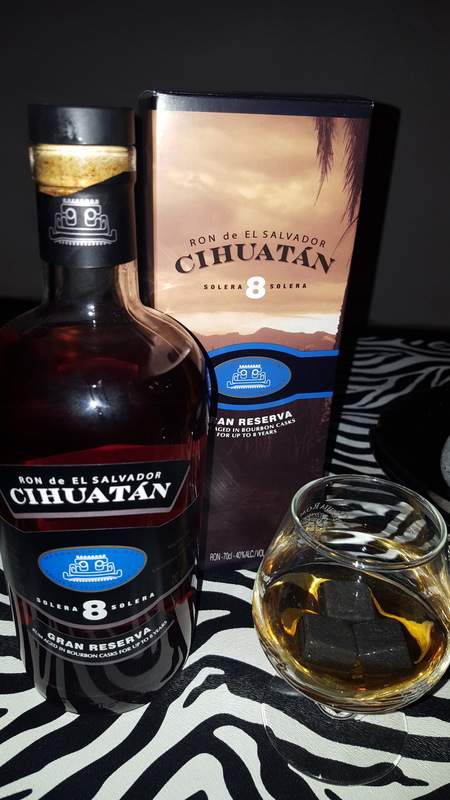 A nice and sweet rum that ultimately doesn’t do a hole lot. Fantastisk karamel duft i flasken, som ændrer karakter i glasset. Smagen er også sød og blød, omend med en lidt skarp eftersmag hvis ikke den får lov at stå. Discovered this one by chance. 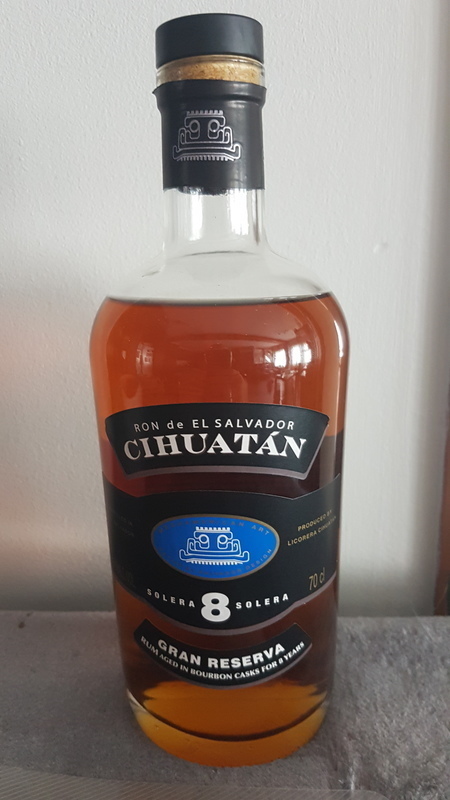 Nice surprise though this rum from El Salvador (the only producer of rum in El Salvador?). Vanille, caramel, coffee in the mouth, great value for it's price.